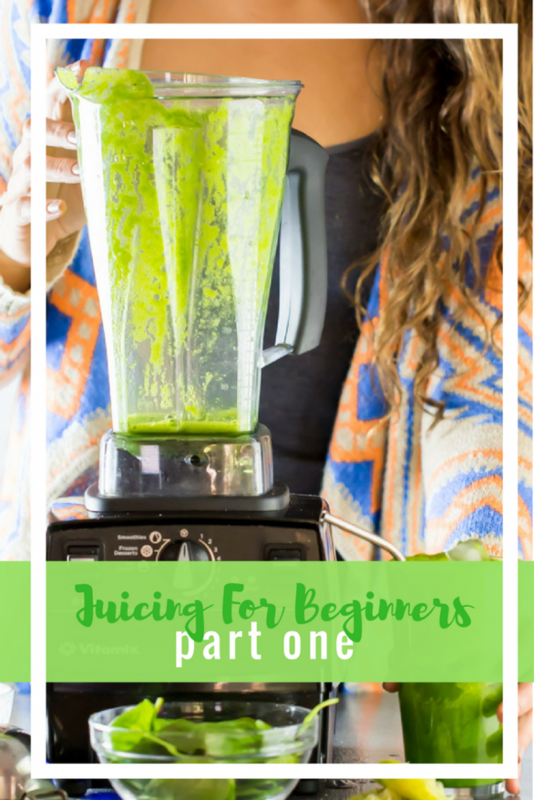 There is so much to say about juicing that I thought it would be fun to split up the information and turn this into a little series called 'Juicing For Beginners'. For starters, I'd like to note, I'm not an expert juicer or anything like that. I don't know everything there is to know about it and all of the stuff that I am writing about on here is solely based on my general experience with juicing. And I'm sharing it with you, for fun! It's very general information for complete beginners. As per Wikipedia, juicing is the process of extracting juice from plant tissues such as fruits and veggies. This is usually done with a juicer machine, similar to a blender, but it's not a blender, it's a juicer. There are many different types of juicers out in the market and I will explain some differences between them on Wednesday's 'part two' post. 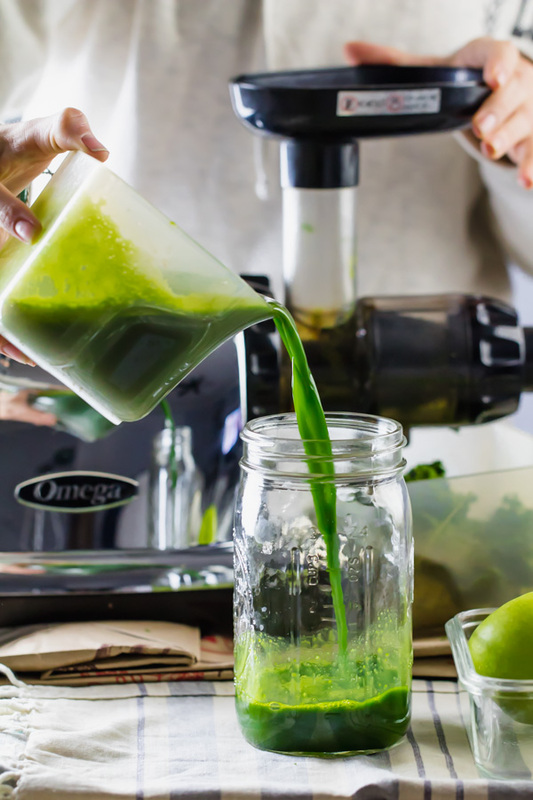 The juicer that I currently use is an Omega Masticating Juicer (affiliate link), I'll talk more about this masticating juicer in the part two post but overall my experience has been a positive one. Can 'juicing' be done in a blender? In a sense, yes it can. Is it technically a 'smoothie' vs a juice?! I don't know, I guess. But, if a blender is all you've got for now, yes, you totally can make juices/smoothies/whatever you want to call it in there. Some might not taste as pleasant as if you had done it in the juicer (because you're leaving the pulp in there when you use a blender), but you can definitely do it. 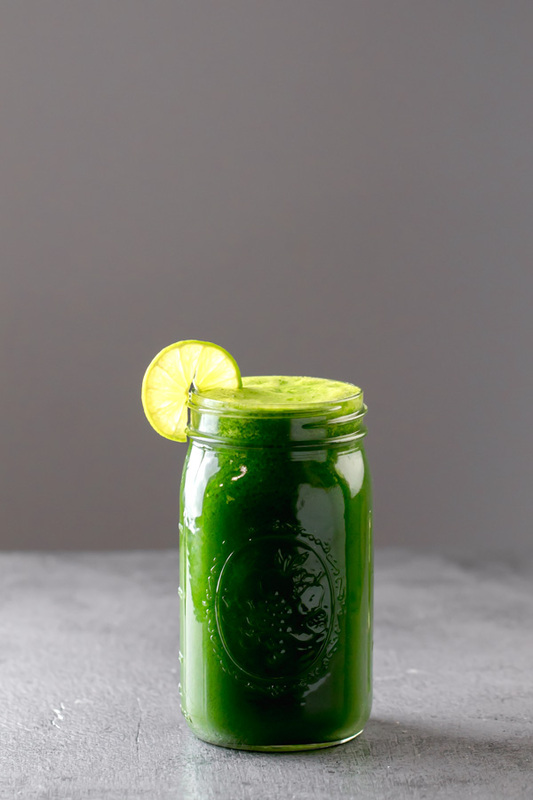 On my recipe juice recipe round up, which you can find here, there are a ton of recipes that call for a blender over a juicer. Sooo many names!! What do they even mean!? 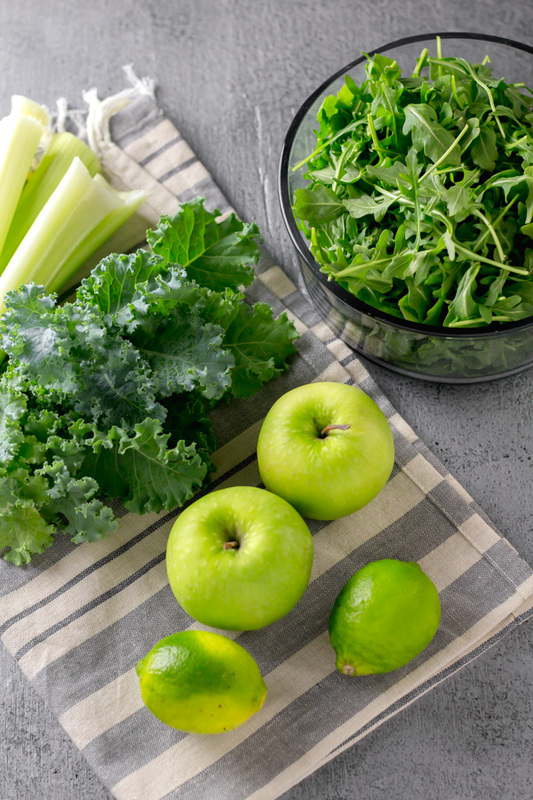 Over the past couple of years, the idea of juicing has become a popular one. We're seeing juice bars, cold-pressed juices, and juice cleanses being offered in every corner. I myself have never done a juice cleanse or a juice fast, so I can't really give you an opinion on that. But what I do like to do is INCLUDE juices in my current diet. I don't just juice, I eat food AND include juices as well. Every time we're at the Trader Joe's counter with a ton load of fruits and veggies, we always get asked if all we consume is juice. 😛 I always explain that we drink juices andddd also eat food, like real food. Eating, or chewing, my fruits and veggies is actually my preferred method of consuming my food, mostly because I believe that eating the "whole" fruit or vegetable is better than consuming only it's parts. 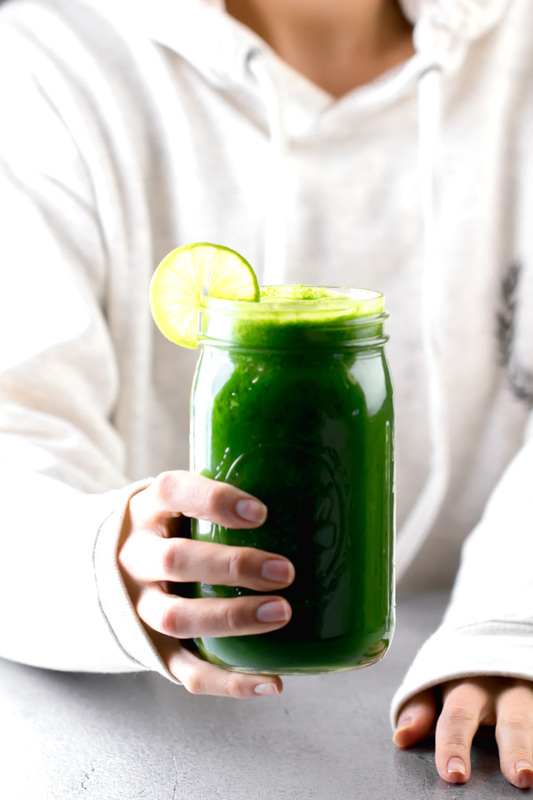 During the juicing process, a lot of the fiber is removed from the food and you are left with only its juice which, depending on the fruit, can contain a lot of sugar (and since juicing removes the fiber ... you're left with mostly sugar and no fiber to balance it out). When you chew your veggies/fruits, you release specific salivary enzymes that help in the digestion process which you otherwise don't release when you just drink your veggies/fruits in juice form. I learned that tidbit from Dr. T Colin Campbell's Plant Based Nutrition Course. It's always wise to consult with your medical provider (doctor) when making a change in your diet, especially if you have certain health conditions, such as diabetes, that are sensitive to dietary changes. Okay, so now that I've shared my thoughts on that topic, I also believe that juicing has a ton of great benefits when done responsibly and there are a ton of reasons why I like it! I like to stick to juicing mostly greens because of their low sugar content. My favorites are arugula, kale and celery. I like to juice beets, pineapples, and carrots sparingly. And when juicing apples, I always go for the green ones vs the sweeter the red or pink ones. five reasons why I think juicing is awesome! It's a great way to consume vegetables that you otherwise wouldn't eat. 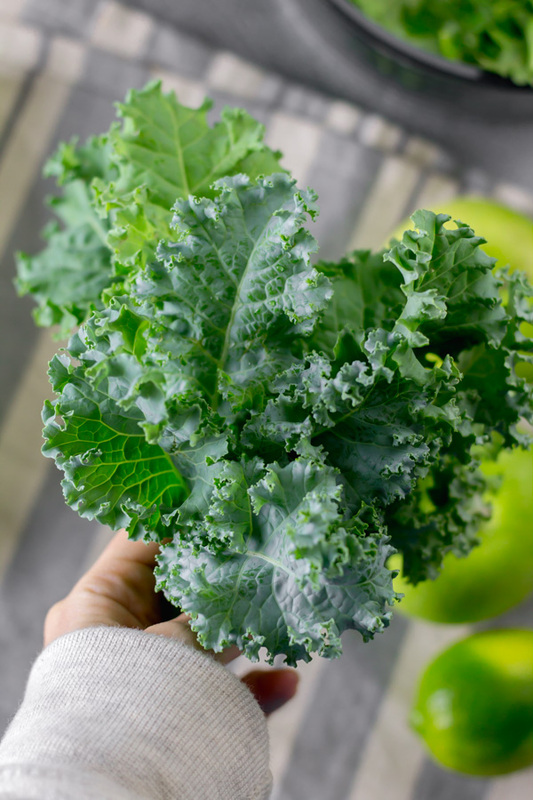 For example, I'm not a big big fan of kale or arugula, however, I can easily drink a glass filled with this Arugula and Kale Green Juice, and I get more servings of these great greens this way vs not eating them at all. It saves you money because nothing goes unused! Save those scraps of fruits and veggies that go un-used or about to expire or are wasting away in your fridge and juice them instead of throwing them out! At times I find myself juicing simply to save the veggies from being thrown in the trash! And that saves me money! So, Yay for juicing scraps. You may feel a boost of energy! I don't know what it is, but when I drink my greens early in the morning I feel much more awake and energized vs when I don't juice. A few other reasons why I personally like to include juices in my diet is because I feel clear-headed, my skin feels nicer, and I just have an overall boost in my general wellness! Remember to check back on Wednesday for Part Two of the 'Juicing For Beginners' Series. 🙂 Or, you can subscribe to my blog here and you'll receive my posts via email! Part Three is also live on the blog now.